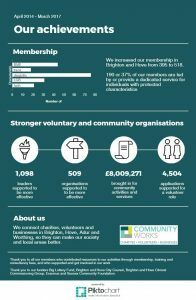 Voluntary and community action improves people’s lives, strengthens communities and makes our local areas better for everyone. The people and organisations involved in voluntary and community activity have significant skills, knowledge, expertise and experience. However, some times, they need additional support to help ensure that they have the greatest impact on everyone and that they are as effective and as inclusive as possible. This is where we come in. Over the last 3 years in Brighton and Hove, we’ve made progress in all these areas. Or download our short, written summary (PDF). 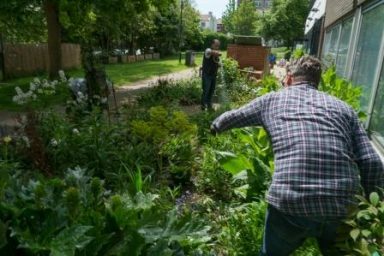 We've helped MindOut to grow their income and the number of people they work with.